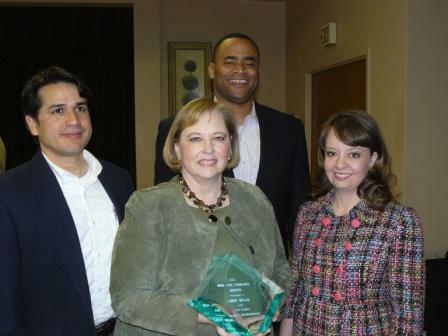 Oakhurst Neighborhood Association, Fort Worth, Texas: ONA Resident Libby Willis Wins Volunteerism Award! ONA Resident Libby Willis Wins Volunteerism Award! In addition, the Fort Worth League of Neighborhoods presented the 2012 Ben Ann Tomayko Good Neighbor Award for volunteerism and years of service to neighborhoods to our very own Libby Willis! Congratulations to Libby on her hard work and service to both ONA and the FW League of Neighborhoods over the years.